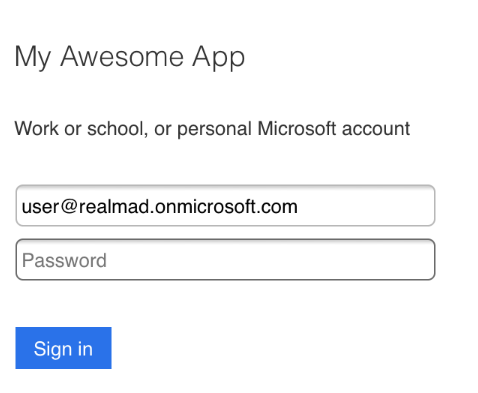 Today we’re pleased to introduce a new method of client authentication with Azure Active Directory for our community of .NET developers using the Realm Mobile Platform. Now organizations can create reactive apps that work with Microsoft App Service Authentication / Authorization for simplified sign on and identity management. Each Azure account has a default AD instance pre-created. For the purposes of this post, we’ll use that one, but you can easily create a separate one by following a tutorial similar to this one. Specify Name, and set Application Type to Native. The Redirect URI will be used by the client library to identify when the login flow has completed, so it has to be a valid Url, but doesn’t need to be a physical endpoint (as we’ll never load it). Once the application is created, take a note of its Application Id, as we’ll need it later. After successful authentication, the response object will contain some basic user information as well as an access token, that we’ll use to authenticate against the Realm Object Server. 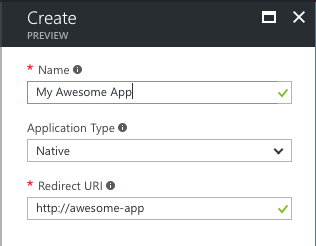 # This enables authentication via an Azure Active Directory access token for a specific app. # The Directory Id as retrieved from the Active Directory properties in the Azure portal. We’re excited to expand our support for the Microsoft ecosystem and our announcement today is one small step on that journey. This year, we’ve announced Realm Xamarin 1.0, Windows Desktop support, and easy ways to get your Realm Object Server (part of the Realm Mobile Platform) up and running on Azure. Stay tuned for more coming in 2017!